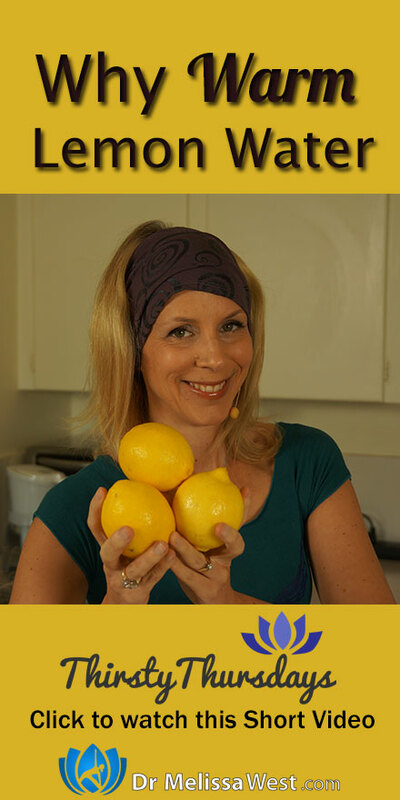 Sam from Healthy Juicing Magazine sent me a Dovetail Stainless Steel Lemon and Lime Juice Squeezer to review and so I decided to do a video on why warm lemon water is a good idea first thing in the morning. Drinking warm lemon water upon waking helps to re-hydrate you. After several hours of sleeping you have lost a lot of hydration in your body through your breathing. Drinking warm lemon water helps to evacuate your bowels and clear unwanted toxins and accumulations in your body.Warm lemon water has mucus dissolving properties. Lemon water promotes peristalsis, which means the contraction of the muscles in your colon, keeping waste moving out of your body. When our lungs and large intestine are clean and free of toxins we can function optimally with healthy vibrancy. Our lungs can assimilate energy from the outside and efficiently turn it into energy to be used as energy inside our body. When our large intestines are letting go of physical toxins we will also be able to let go of those things which no longer serve us. We will be able to let go of patterns of negative thinking, destructive emotions, and spiritual blockages that we create that prevent us from being our best. Your liver does most of its work at night. Warm lemon water can stimulate the cleaning of your liver. Fresh lemon juice with water helps the formation of bile. The vitamin C in the lemon produces glutathione which helps your liver to process and eliminate toxins. When our liver is free of toxins we will have an easy going inner environment. We will be free from anger, irritation, annoyance, defensiveness and frustration. A healthy liver allows us to be flexible and adaptable. We will be able to harmoniously follow our path in life without being pulled off course by external influences. It will be easier for us to keep our equilibrium. Lemon water is alkaline forming in your body. It is the trace minerals calcium, iron, magnesium, potassium, sodium, and manganese that make it alkalizing to your body. It is said that an alkaline environment in your body is healthier as an acidic environment is an ideal environment for disease. Add the juice of 1/2 a lemon to 1 cup of warm water. Boil the water in the kettle, but allow it to cool down a bit so that it doesn’t destroy the vitamin C. You should be able to drink it straight away, it shouldn’t be too hot. Drink first thing in the morning before you take in anything else. Previous post: Is there anything to protect against dry skin?